Is there more to Butte Montana than its historic role in mining? An exciting research program funded by the USDA is helping to shape Montana as a leader in biofuels research and development. 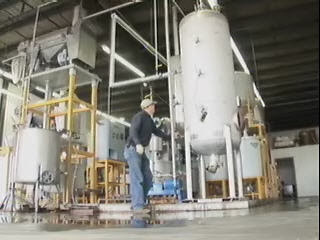 The project is funding Resodyn Corporation's research to convert used cooking oil into biodiesel. The B100 biodiesel product is made from what typically would be a waste product. In the process, the research is helping to grow the local economy with technical expertise of scientists and engineers.